COAST CITIES — As the latest lead agency for the Buena Vista Lagoon Enhancement Project, SANDAG will soon draft engineering studies and an Environmental Impact Report (EIR) to evaluate alternatives for the project. Spurred by the gradual degradation of the freshwater lagoon, the enhancement project has been ongoing for several years and juggled by several agencies. 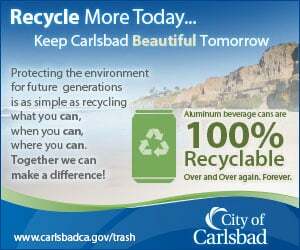 At the request of the cities of Carlsbad and Oceanside, SANDAG took over the project in July 2012, picking up where the California Coastal Conservancy left off in 2011. Located in Carlsbad and Oceanside, the 220-acre Buena Vista Lagoon is suffering from sedimentary and water quality issues as the result of natural and man-made events. These events include urban development and sewage spills, but one main cause of the lagoon’s issues stands out, according to SANDAG. “The major problem with the lagoon right now is water circulation,” explained SANDAG Senior Regional Planner Keith Greer, the project manager. Water circulation within the lagoon has been slowed by travel infrastructure and the lagoon’s weir, according to SANDAG data. The lagoon’s four basins are intersected by Interstate 5, railroad tracks and Coast Highway, which interrupt the lagoon’s natural water flow. Furthermore, the lagoon’s weir, a barrier at its mouth along the beach, blocks water flow from the Pacific Ocean. Consequently, sediment has built up within the lagoon, lowering the water levels, said Greer. The lower water levels enable growth of invasive plant species, including cat tails, which further slow down the water movement within the lagoon. These conditions put the Buena Vista Lagoon at risk to become a marsh or meadow over the next several decades, and could result in long-term consequences including decreased water quality, potential increase in mosquito-borne diseases, flooding, and reductions in the coastal habitat biodiversity, according to SANDAG. Currently the lagoon is home to over 100 bird, 18 mammal, as well as 14 amphibian and reptile species. SANDAG’s reports will consider at least four alternatives to enhance the lagoon. The first is a fresh water alternative, which would replace the lagoon’s weir and dredge portions of the basins. The second option, the saltwater enhancement alternative, would remove the weir, dredge portions of the basins and convert vegetation to a salt marsh habitat mix. The third alternative is a hybrid saltwater-freshwater option that would remove the weir and create an ocean inlet, dredge portions of the basins to maintain saltwater in the two basins on the west side of the lagoon and freshwater in the two eastern basins, and construct a weir along the middle of the lagoon. The fourth option under consideration would result in no project being conducted and allowing the lagoon’s current conditions to remain. SANDAG is concluding its notice of preparation period May 25, and will collect public comments about the project until that time. As part of this period, SANDAG held a public meeting on May 9 outlining the project before more than 100 community stakeholders at Buena Vista Elementary School. Key among those stakeholders is the Buena Vista Lagoon Foundation, which has been involved in projects concerning the lagoon since its incorporation in 1981. But he expressed hopes that SANDAG will incorporate the views of the public and the Foundation to a greater extent over the course of the project. Wootton said he is concerned that SANDAG will select an extreme project alternative rather than an alternative that acts as a compromise for the desires of community stakeholder, a sentiment also expressed in the Foundation’s comments submitted to SANDAG. Yet with the project extending for years and changing hands several times over its history, Wootton expressed that the foundation simply hopes that some type of enhancement to the lagoon will be carried out at all. “What we want is for something to actually happen,” he said. Once the notice of preparation period ends, SANDAG will complete its technical studies and produce a draft EIR from summer 2013 through spring 2014. After revisions are made and a final EIR is produced, SANDAG will conduct final public hearings on the project and identify a preferred alternative during winter 2015. Should a project alternative be selected, implementation of this alternative could not start until fall 2016 at the earliest, and would be subject to local, state and federal permits, according to SANDAG associate regional planner Marc Cass, who is in charge of developing the project’s EIR. SANDAG is utilizing $800,000 in funds from TransNet and $100,000 each from the cities of Carlsbad and Oceanside to conduct this process. 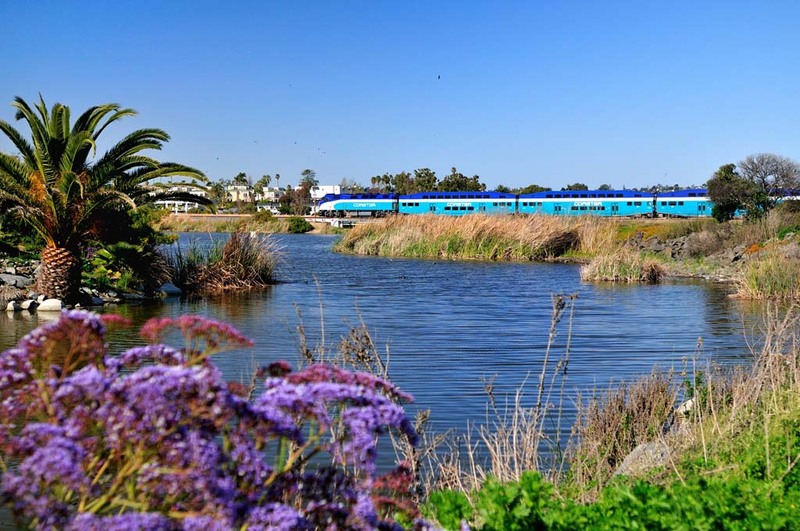 If a project alternative is selected, funding could be obtained as part of a current North Coast Corridor program, state or federal grants, or other sources, according to SANDAG. For more information and to submit public comments to SANDAG, visit KeepSanDiegoMoving.com/BVLagoon.